What do you learn from this press release? Anything specific? Anything new? The participants, although no detail is provided about them by Dr Thomas Munthali, are probably tobacco control veterans, with years of activism and funding. Maybe ulterior press releases will tell us a bit more about this meeting and how the Gates Foundation millions are used? Maybe not. Africa should ensure that the current tide of tobacco epidemic is reversed and that future generation suffers less from the harmful effects of tobacco, said Dr Thomas Munthali, Director of Knowledge, Monitoring and Evaluation at the African Capacity Building Foundation (ACBF) during the Foundation’s inaugural annual coordination workshop for ACBF’s sub grantees on Tobacco Control, held on Monday in Harare, Zimbabwe. Twelve (12) tobacco control organizations are taking part in the capacity building workshop, which stretches over five days, ending on 2 October. The Foundation, he added, believed that every effort should be made to ensure that people that use tobacco were assisted and encouraged to stop, that potential new smokers were prevented from starting, that exposure to second hand tobacco smoke is prevented and the production and sale of tobacco products is significantly reduced across the continent while building countries’ capacity to venture into viable alternatives to tobacco. “The issue of capacity cannot be ignored. Without capacity, sustainable and beneficial tobacco control and improved public health are not possible,” said Dr Munthali. There is a need for actors in the field of tobacco control to build capacity to understand the issues at stake; to plan, coordinate and implement initiatives, programs and strategies around tobacco control as well as viable alternatives to tobacco; to learn and innovate through robust monitoring and evaluation systems at institutional and country levels. The aim of the annual workshop is to equip participating organizations with the competencies necessary to plan, implement, monitor and evaluate their tobacco control activities successfully. About six million people across the world are currently estimated to die annually from tobacco use. Of these casualties, 10% are attributable to second hand smoking exposure. It is projected that unless substantial action is taken, the number of annual deaths will reach 8 million by 2030. 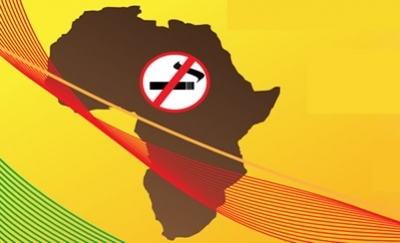 In Africa, tobacco-attributable deaths account for 3% of all deaths. The tobacco industry has been earmarking Africa for market growth and its expansion will foster a tobacco epidemic. This epidemic being at a relatively early stage, it is critical to invest in tobacco control to prevent a large-scale epidemic. The Bill & Melinda Gate Foundation has availed funding worth $8.5m to the Foundation to advance evidence-based tobacco control policies in Africa. The purpose of that grant is to strengthen African civil society organizations’ (CSOs) capacity to enable strong and well implemented tobacco control policies across the continent and ensure that CSOs work is better coordinated and more targeted.